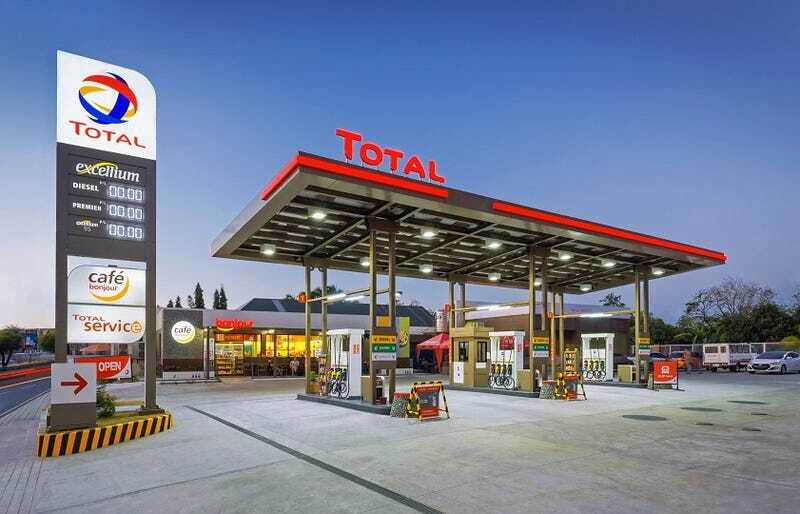 This is not the gas station I’m referring to, just a stock image from google. Today as I made my way to college I realized my trusty Pemex station was no longer: Tis now a Total gas station, with Bonjour written on a large, fixed plaque. The gas station is normally empty at 6:30AM , but today it had a big ol line, and its not even the only one that had a huge line. Once British Petroleums opened its doors in Izcalli, a municipality within the Mexico City Metropolitan area, the line streched for blocks as people poured in gasoline at a very similar price to the soon to be refurbished pemex next door. Even the owners of the gas station stood confused at this development. You see, we recently went through a constitutional reform that made petroleum available to foreign and private companies once again after a 75 year ban. These gas stations are still owned by the same people and still buy gasoline from Pemex for now. By law a clerk will still fill your tank and the meters are also still probably dispaching less liters than advertized. Yet, everyone is going nuts for them! Which is odd because we all read the same books in school that posed President Cardenas as a savior that nationalized Mexican petroleum. Yet we seem fascinated by this foreign façade. Why is it? Have we grown so distrustful of local services that we need a foreign name to give us comfort? Its a bit a symbol of the government too, and since in an economy the governemnt is the biggest buyer and spender... well... what does it say about us, the consuming populi? We can see this urge for the foreign in other stuff like stores advertizing in english, products named in french, so on... While yes: language snobbery isnt exclusive to Mexico, its ever more present and a rejection of the local is becomming more normal. Because we know our federal highways are a nice interpretation of american interstate highways. Because we think Aeromexico is almost as good as Air France. Sometiems we fear to take credit for something being uniquely ours and wish to attribute it to either european or american cultural appropriations that we make. “How could it be good if its Mexican?” We ask ourselves sometimes, without realizing that our standards departed objectivity a long time ago. Then, how useful is it to judge ourselves with what are basically unfounded opinions? El Foraneo, lo extranjero, lo Europeo y lo anglo sajón. Think about it, what was an stereotypical Mexican before narcos? Hardworking in the US? Bilingual or trilingual in Europe? A great strategist amongst the international community? Truth is we’re no better than anyone else, but that complex drives us nuts and makes us feel as if we’re not good enough for you. Yet given the notion that we must be worse than you, we justify being worse here. Along the same lines that you may drive 10 or 15 km/h slower when taking your parents; you want to create an ideal version of yourself that drives safely and isnt going to fall for road rage easily. It must be tiresome to always be in this defensive position. The seeming constant state of caos here also makes us believe that it cannot be fixed and that, if we can, we must leave. If all those willing to be great outside of Mexico just tried to fix it, wouldn’t we be beter off? We could remove our coat of inferiority and try to tackle the world looking face to face, and not on our knees.